Tokyo subways snake their way all over the city but they often have to park in stations that are hard to find for tourists and locals alike. Recently, I had a long excursion to visit various man made islands in Tokyo and had an opportunity to see the Tozai Line train depot. Most lines have depots for their own lines only and the Tozai Line is no different. The Tozai Line stands for “east-west line” and obviously runs from Chiba all the way to Nakano. It is a busy line and one of the few lines on the Tokyo Metro network that has express trains. It is a bane for commuters as it is one of the worst Tokyo Metro lines. 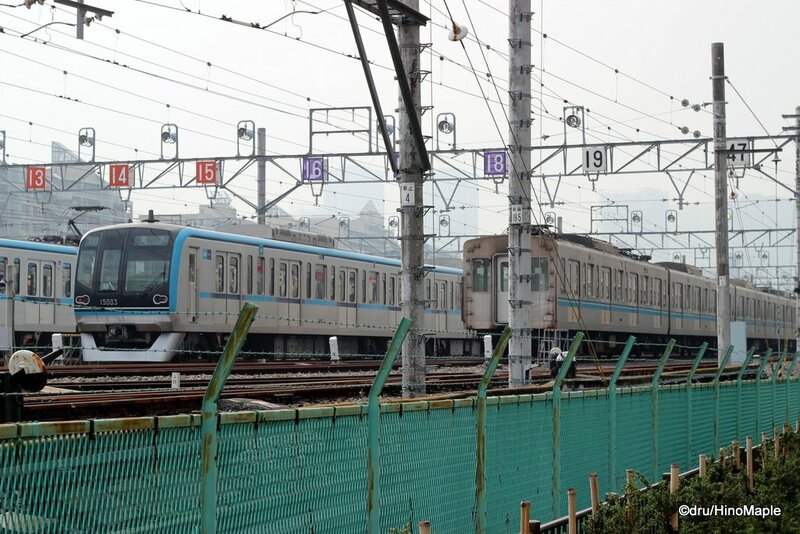 There are currently 3 main Tokyo Metro rolling stock trains on the line with other various companies contributing and sharing the line as well. 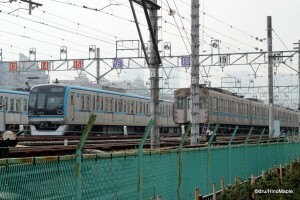 The trains owned by Tokyo Metro all make their home in Shiohama, one island over from Shiomi. Shiomi is on the Keikyu Line and it is actually a little far from the Tozai Line itself but due to the rent costs, I’m sure this area is relatively cheap. While the train depot is not very special, you can see a bunch of different models here during the day and you can see them working on the trains a little. Due to the area, the fence is not too high and you can relatively easily take photos of the depot itself. It is hard to get to unless you have a bicycle or you are willing to walk a bit from Shiomi Station but if you are a train nut, you might want to check it out. Do note that there is absolutely nothing else in the area except industrial transfer stations and factories. This entry was posted in Tokyo, Trains and tagged Depot, East West Line, japan, Shiohama, Shiomi, tokyo, Tozai, Tozai Line, Tozai Line Train Depot, train, Train Depot by Dru. Bookmark the permalink. Stupid answer, by track. 😉 The depot is about 700 m south of Toyocho, so there is a U shaped line of track from Toyocho Station to the depot. You can actually see it on Google Maps.